The legendary 2-seater convertible AC Cobra is the best known sports car in the world, which eventually turned the laurels and one of the centenarians on the planet, produced for more than 50 years without significant changes. It intertwined British style conservative, austere sport “classics” with open bodies and American spirit of a powerful track racing car. Today it seems that there is AC recently and always engaged in the production of their legendary Cobra. In fact, the opposite is true: this company no longer exists, but copies of the Cobra continue to produce its successors. Long and versatile, not ended yet history is relatively simple cars AC Cobra obliged unplanned Anglo-American cooperation, the roots of which find in the works of the indomitable American racer and designer Carroll Shelby. In the late 1950-ies racing career Carroll Shelby ended and he decided to try himself as a racing designer. Among American cars at that time there was nothing better Chevrolet Corvetteс its excellent engine and lightweight plastic body. 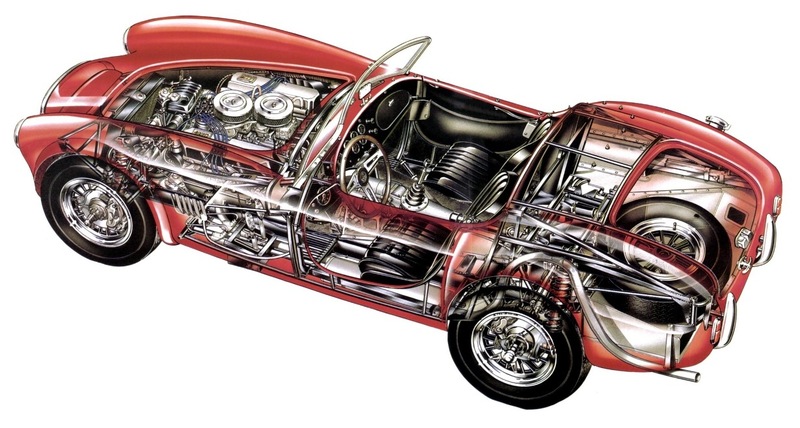 Shelby knew the weak spot of the Corvette: lightweight body, plastic, hiding the heavy X-frame, and the whole body was heavier than the body of the English sports Roadster, based on the spatial frame of pipes. If a Roadster to put “korotovskih” engine, it will be more easy and quick car. To accept Shelby’ve had this car model Ace English company AC Cars. However, when Shelby asked Chevrolet to sell him a batch of engines, they refused, not wanting to create competition. Intervened Ford, who proposed its new V8 engine is compact and lightweight. He was eager to find out the potential of innovations in the race, but had no experience of creation of racing cars. This engine was even better because AC Cars and used Ford engines, however, less power. Shelby agreed. On the creation of Cobra was gone a few days. Sample of Ford motor were flown back to the UK; the British made the necessary changes to the car and tested it; the engine was removed, and the body was flown back to the United States. Here the workers in the workshop Shelby was already standing by the second motor. It was installed on the body and 8 hours later the car ran in on the track. Thus, the Cobra received a 280-horsepower 4.7-liter Ford engine accelerates the lightweight Roadster to 246 km/h, with a speed of 100 km/h it reached in just 4.5 seconds. The Cobra was equipped with the supporting steel tubular frame, 4-speed transmission and independent suspension on all wheels on a transverse leaf springs. Additionally, they have installed rear disc brakes and limited-slip differential, and 16-inch tires were replaced by 15-inch. 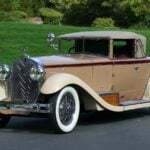 The cars had a body made of light alloy, hand-made, and offers in travel and sports-racing versions. Cobra was at 227 pounds lighter than the Corvette and beat him in the race until 1965 – this year Shelby did not have time to spend homologation (not sold a sufficient number of civilian versions) and was eliminated from the race. And since 1967 he was done with bodies from the UK and focused on the crossing of the Ford Mustang. Private teams still successfully performed on the Cobra. Worth noting that Cobra did not bring much wealth neither Shelby nor the English designer Alan Turner, who invented haunting memory look. Apparently, it was the price of the car higher than the Corvette. However, the story ACCobraвовсе not over. In 1982, the British firm Autocraft became the legal successor of the former company AC. The company revived the production Cobra. Now it is released under the index Mk-IV, as the legal rights to the brand Cobraпринадлежали Carroll Shelby. The car has received a 4.9-liter V8 Ford engine 225 HP, 5 speed gearbox, all disc brakes, ventilated, but apparently had not changed. 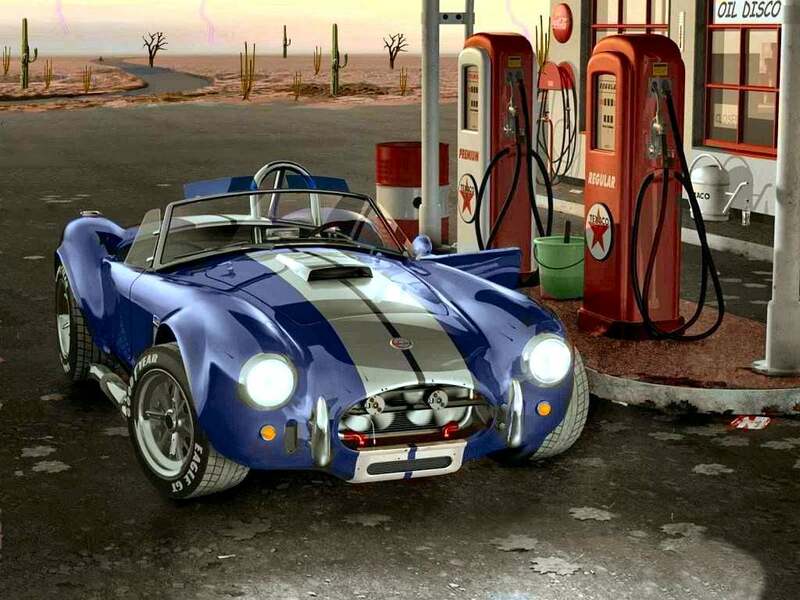 At the same time, Shelby is also resumed in the USA custom-made Cobraс American units. In addition to them, still many small firms are playing to Cobra, offering a copy of it with modern components.